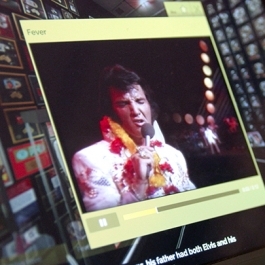 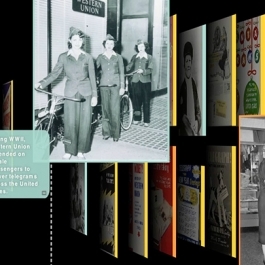 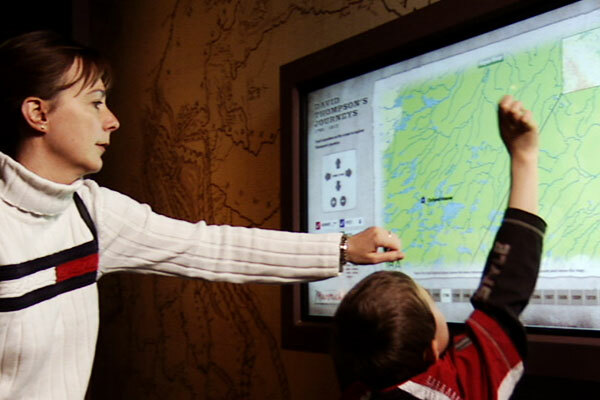 Explore Canadian history through interactive maps, kiosks, touchscreens and role playing games. 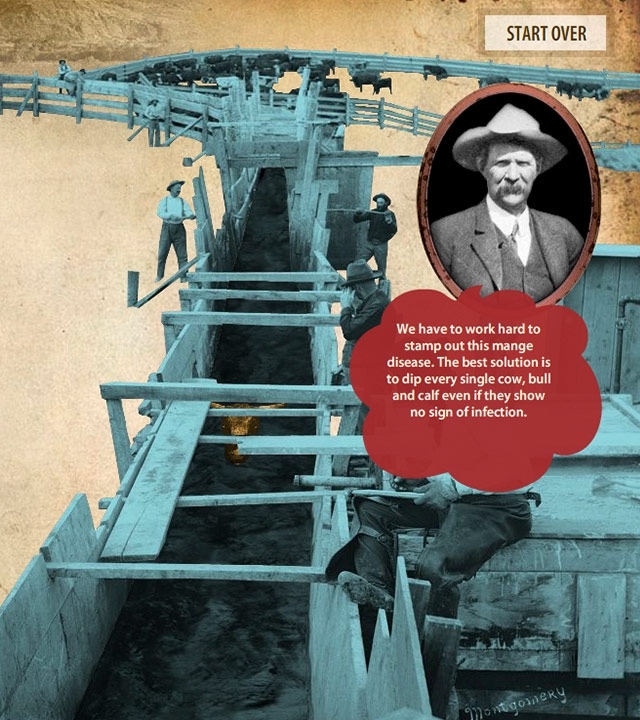 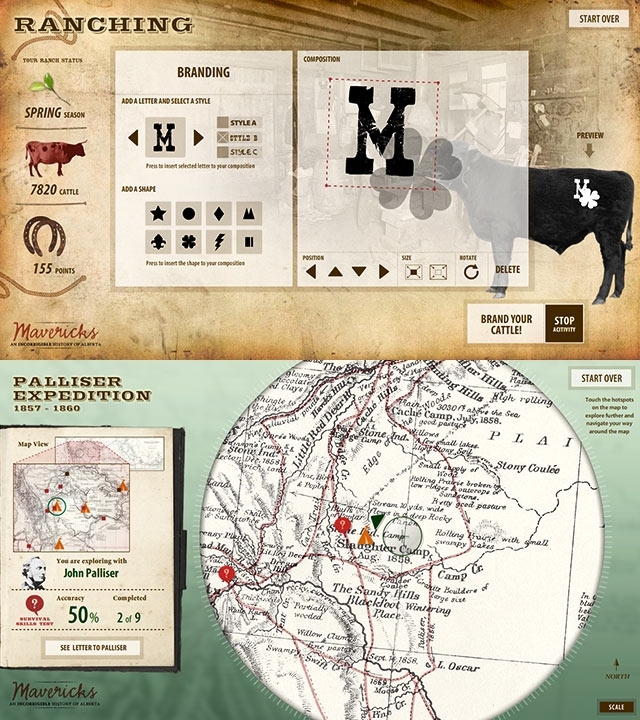 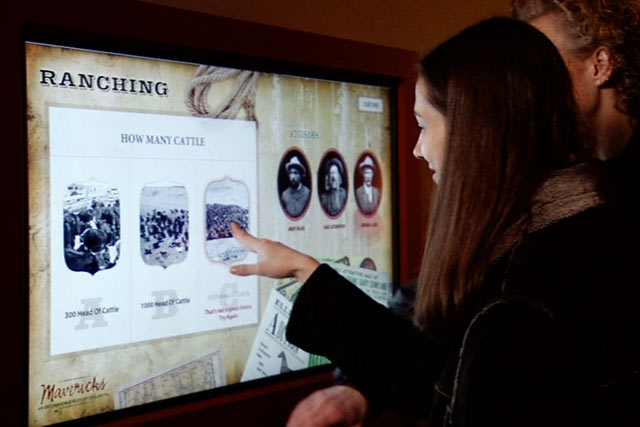 The spirit of Western Canada’s 19th century pioneers defines the interactive experience that we developed for the Glenbow Museum in Calgary, Alberta. 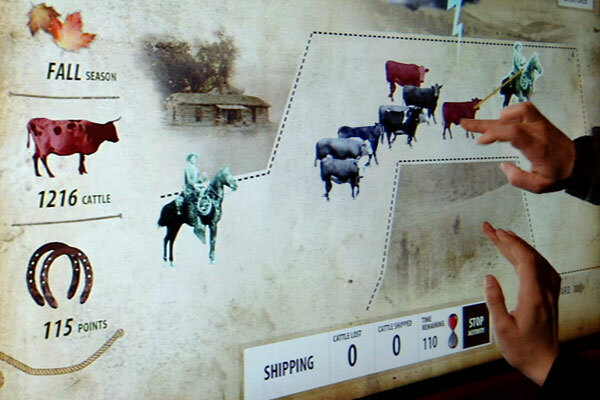 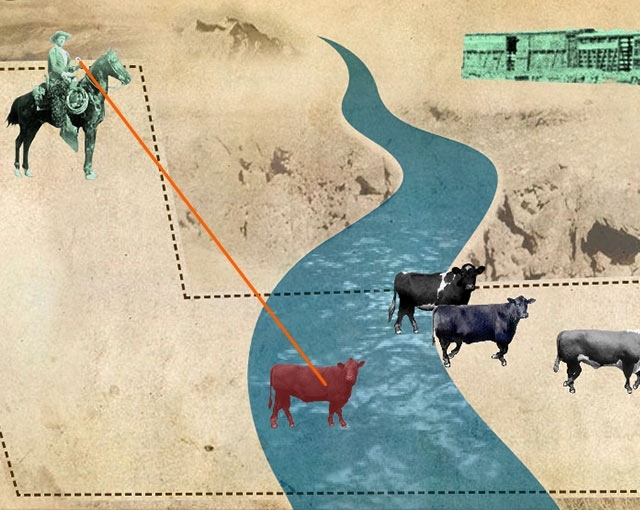 Our lead program, focused on the difficulties of early ranching, enables visitors to navigate a compelling historical “maverick” of their choosing through a series of ever-changing choices and challenges presented by the frontier. 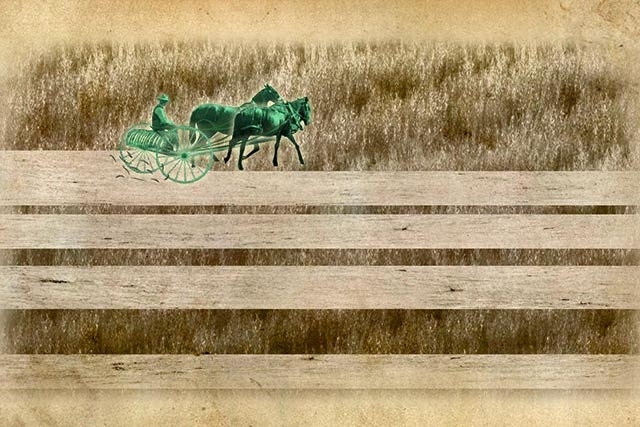 En route to determining whether they have the grit of their Canadian forefathers, players attempt to survive blizzards and disease while making decisions about irrigation, land use and other problems drawn from history. 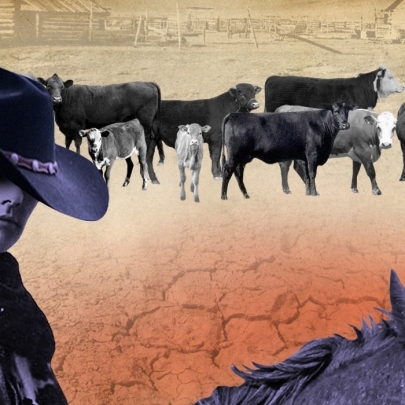 In “Mavericks,” regional identity is central to a series of complementary historical narratives filled with photos, artifacts and a dominant theme of individualism. 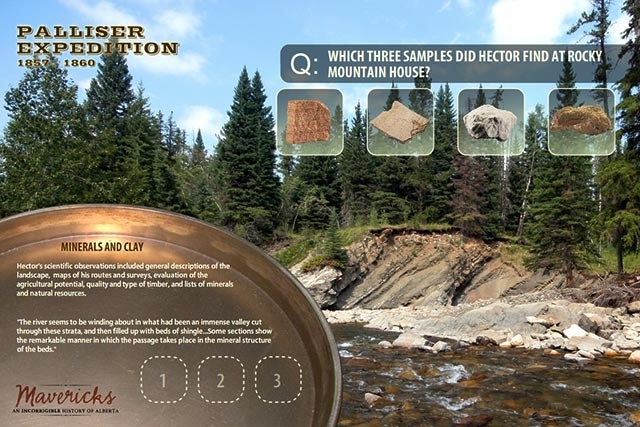 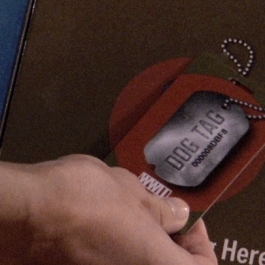 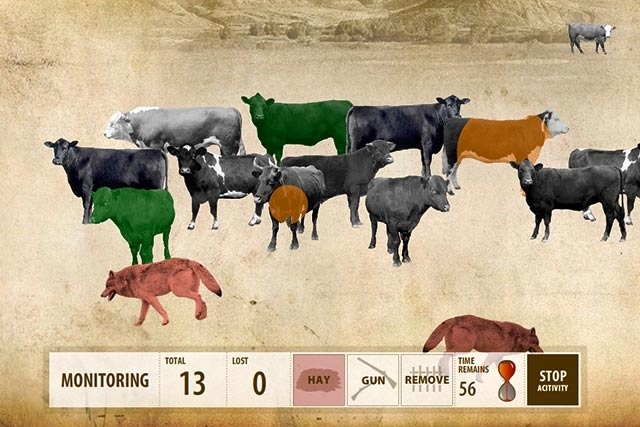 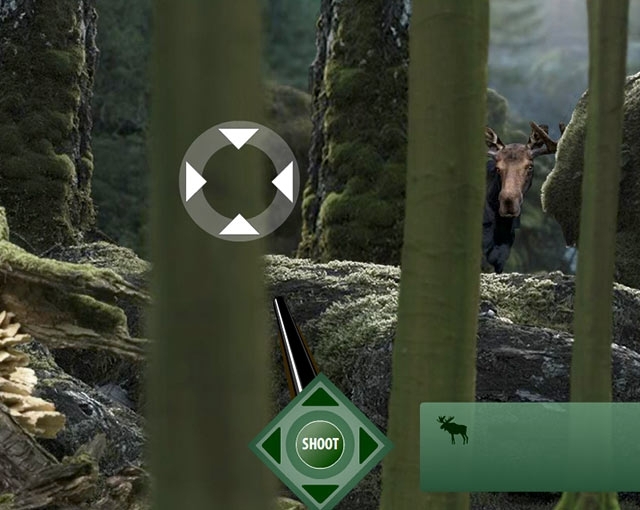 In one of our interactive games visitors must hunt to feed themselves on the Canadian prairie.